It's not all gardening. 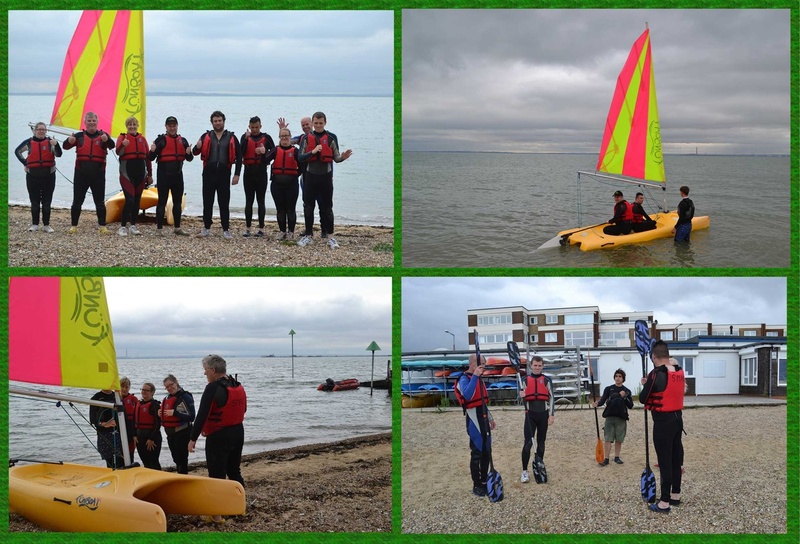 Members and staff had a great time trying sailing and kayaking at Southend Marine Activities Centre. For most people it was their first time and they are hoping it’s not their last! 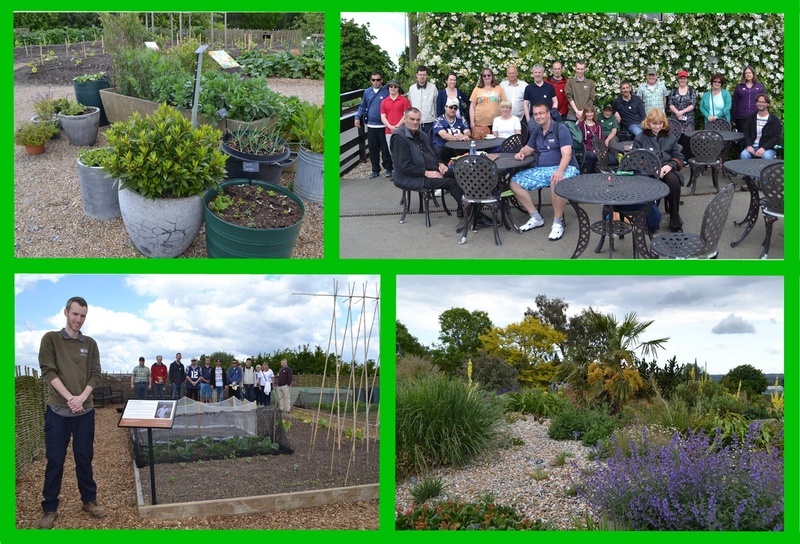 Growing Together members and volunteers and Breakthrough Carers had a lovely day out at RHS Hyde Hall today. The rain held off until we got on the coach to come back to Southend! It was fantastic to see Luke, who is doing brilliantly on his RHS traineeship at Hyde Hall – we are so proud to see people progressing at Growing Together and moving on to pastures new! Luke even has his own vegetable plot at Hyde Hall and he enjoyed showing us what he has achieved. 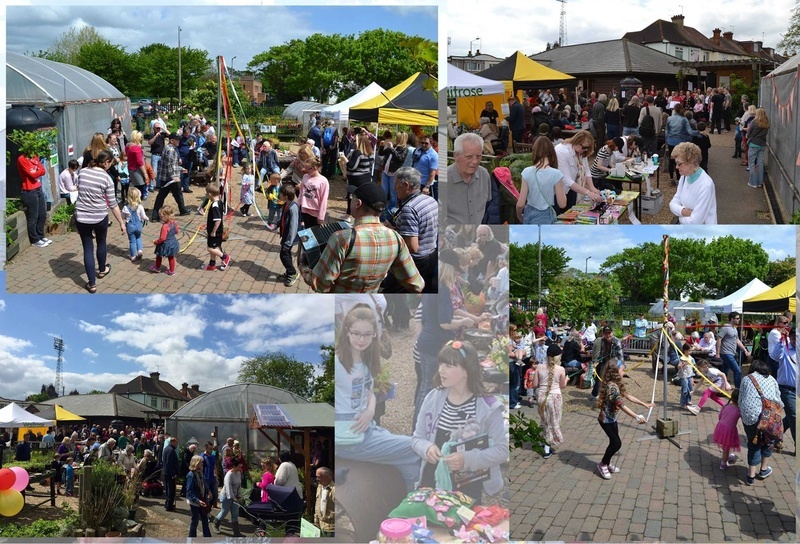 What a fabulous day we had on Saturday at our May Fayre. Thank you so much to everyone who came along to buy plants or to discover the garden for the first time or to bag some free compost. Special thanks to Waitrose for attending with their tombola and to the Mudlark Community Choir and Keith Baxter for providing great music and Essex Bees for explaining all about bee keeping. A big thank you too to all our wonderful volunteers without whom we could not run such a successful event. We raised the magnificent total of £1140, money that will go towards improving the well being of people across Southend experiencing mental health issues. The orchard was thronged with people, joining the procession through the trees led by storyteller and musician Kiti Theobald. Toasted bread was placed in the trees to encourage birds in to the orchard and traditional songs and exultations to the trees were sung to ensure a good crop in the autumn. Two new walnuts trees were planted too. St Laurence Orchard is an important area of bio-diversity. It is a last oasis of an old orchard planted just after World War 1. The Heritage Lottery Fund award will allow Trust Links members and volunteers to work to protect and improve the orchard environment, tending the trees and encouraging the wildlife. We have been short listed for a national award and featured in the Sunday Telegraph! 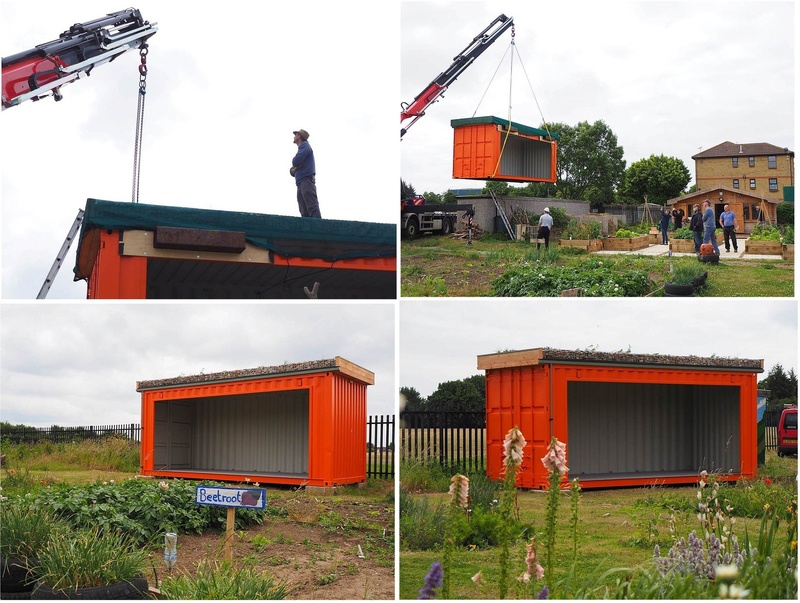 Please vote for The Growing Together Gardens via www.gardeningagainsttheodds.com before 14 December. Please tell all of your friends and family to vote for us too! 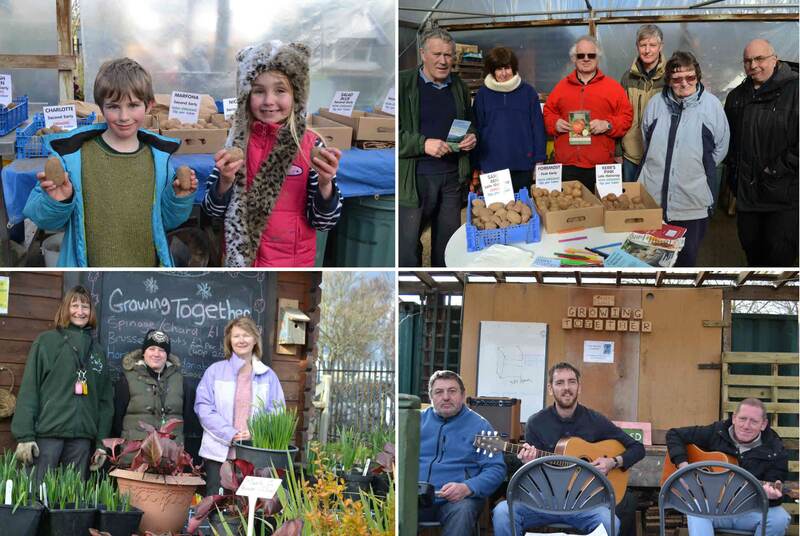 Growing Together was full of Christmas cheer on Saturday 29th November at our Christmas Open Day. More than 150 people came to the gardens and enjoyed meeting Father Christmas and Mother Christmas, joining in with carols and buying crafts, vegetables and honey. Volunteers helped serve homemade mince pies, turkey rolls and vegetable soup. The sun came out and visitors enjoyed looking around the garden and meeting the chickens. The Open Day made more than £750, which is a record for a Growing Together event. Growing Together provides positive activities for adults with mental health problems and learning disabilities. Christmas is a difficult time for many people – Growing Together brings people together in a supportive and nurturing environment. Members have enjoyed making wreaths and decorating the site. 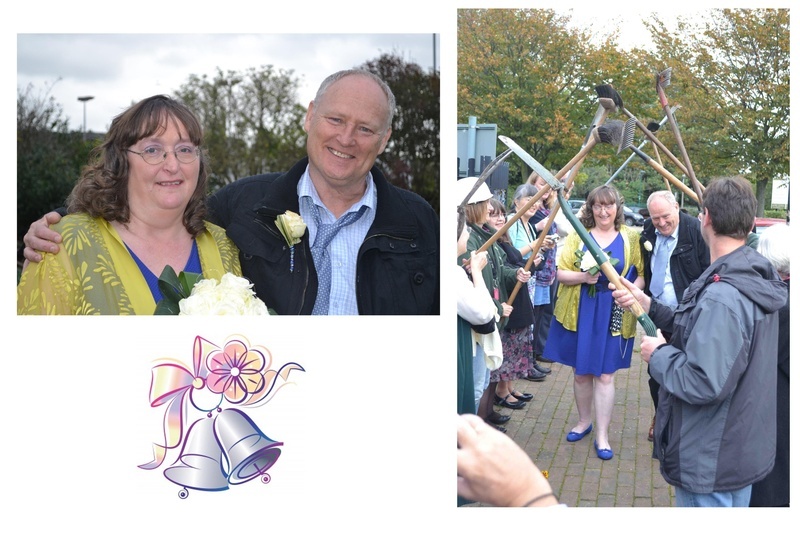 Following a ceremony at the Civic Centre in Southend, they celebrated their marriage in the garden with other members and volunteers of the charity. This is the first wedding amongst its members and so it was only fitting that the venue for the reception was the very garden where Tracy and Steve met. Fellow members organised the catering and arranged the flowers for the happy couple who now look forward to growing together. 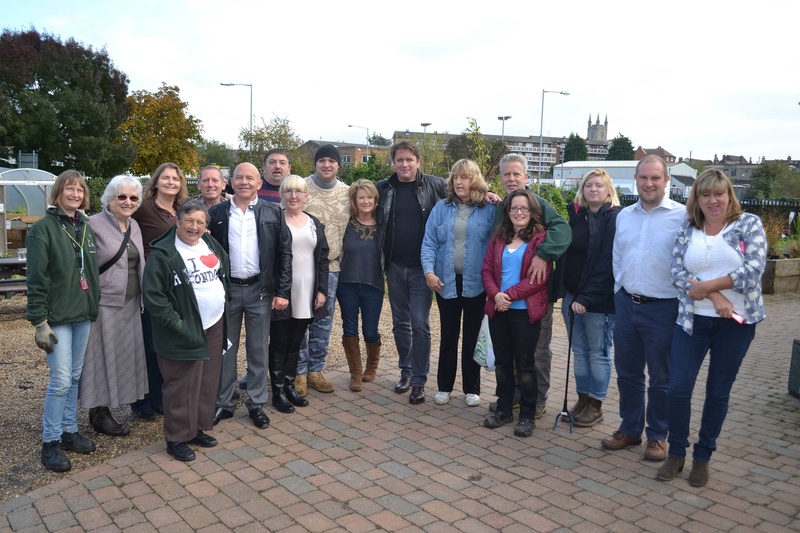 It was lights, camera, action at our Westcliff community garden when presenters James Martin and Dom Littlewood visited the site. The pair were there to record an episode of a new show for BBC One, called Operation Meet The Street. Southend born Dom Littlewood (Cowboy Builders & Don’t Get Done Get Dom) returned to his home town with James to see the ways in which local charities and groups can help reduce loneliness and isolation. A celebratory Afternoon Tea was held by Trust Links at our Growing Together garden on Fairfax Drive, bringing together all of the people that Dom and James met through the programme. Growing Together is an award winning community garden working with adults with mental health problems and learning disabilities, which improves quality of life, social inclusion, mental health and work prospects. Producers of the programme felt it was the ideal venue for the celebration event, as the project embodies the TV programme’s aims of bringing people together to build a stronger community. During the day Dom and James met the members, staff and volunteers at Growing Together to hear their stories and find out how their lives had been improved by their time at the project. Matt King, Chief Executive of Trust Links said: “It was great to have James Martin, Dom Littlewood and the film crew with us for the day at Growing Together. They enjoyed looking around the garden and the Afternoon Tea was wonderful, thanks to the hard work of our members and volunteers. James even gave us cooking tips on the vegetables we grow at the community garden and our members enjoyed posing for photos with Dom. We look forward to watching the programme on BBC One.” In the series, Operation Meet The Street, James Martin spearheads a nationwide campaign designed to bring communities together and tackle the growing issue of loneliness in the UK. James invites five celebrities to go back to the street they grew up on to find out who lives there now and help them set up a real social network. As well as Dom Littlewood in Southend, other celebrities will be Alex Jones (The One Show) Dave Myers (Hairy Bikers), Helen Skelton (Holiday Hit Squad, Blue Peter) and Denise Lewis OBE (Olympic Gold medallist). Operation Meet The Streets began on BBC One on Monday 15th December at 9:15am and the Growing Together garden aired in the episode on Wednesday 17th December 2014.